Its tiny speakers offer big sound on the go, and at a reasonable price. 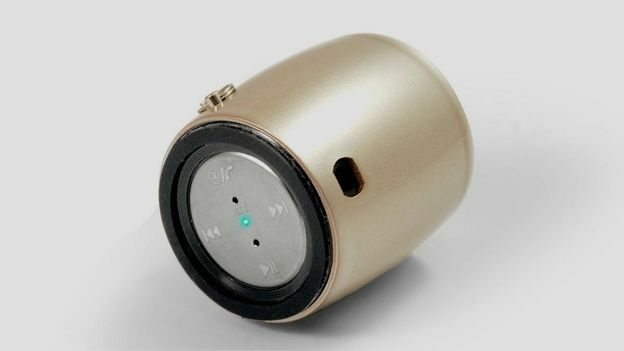 XQISIT dropped its latest product today, which it claims to be the world's smallest 3-watt Bluetooth speaker. The palm-sized B06 mini portable Bluetooth speaker can be taken anywhere and has a four-hour playback time. In addition, it's compatible with smartphones, laptops, tablets and other portable handheld devices within seven to 10 metres. Not only does it play music, but it can double as a hands-free speakerphone too. Its smooth metal finish is available in champagne gold and gun-metal grey. The speaker includes a built-in 300 mAh rechargeable battery that's powered by a USB cable and a 3.5 mm line-in for those without Bluetooth-enabled devices. XQISIT's 3-watt Bluetooth speaker is a tiny alternative to Beats by Dr. Dre without breaking the bank.